In this tutorial I’m going to show you how to create a quick and easy green boken background. You will learn interesting techniques on how to use Mesh Tool, along with the basic shape tools, in order to create nice green leaves. So, let’s get started! 1. Open up a new document and set the dimensions of the Artboard to about 800 x 600px. Now grab the Rectangle Tool (M) and make a rectangle that is the same size as your artboard. While the object is still selected, choose the green (R=186, G=229, B=102) in the Color panel to set the fill color. 2. Select the background and go to Object > Create Gradient Mesh… to open a dialog box. In the ‘Rows’ text field type 5 and in the ‘Columns’ text field type 4. Leave the other settings at their defaults and press OK. Using the Lasso Tool (Q) select multiple grid nodes and pick the colors from the Color Panel as shown in the image below. Note: Use the Gradient Mesh Tool (U) to create new grid lines, and if you want to remove the lines then hold down the Alt key. Use the Direct Selection Tool (A) for grid line distortion and movement of the nodes.To select multiple nodes, use the Lasso Tool (Q). 3. Let’s create our first green leaf. 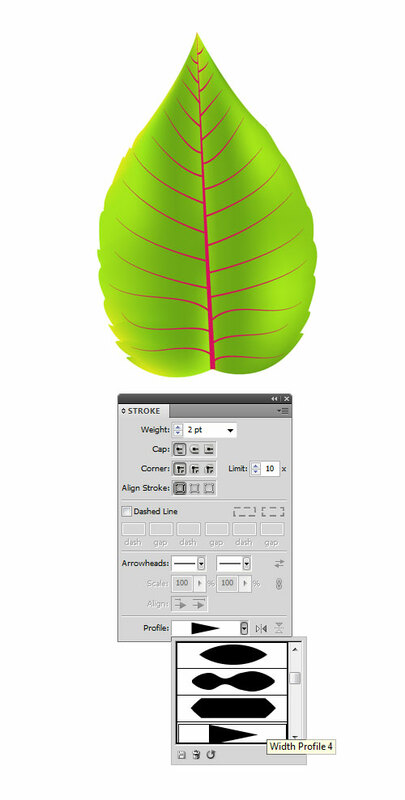 Grab the Pen Tool (P) from the Tools Panel and draw a basic leaf shape. Once done, fill the resulting shape with the medium green (R=141, G=202, B=26). We are going to create mesh objects now. But, it`s much easier to work with the mesh objects if you divide them first. You can use the Line Segment Tool (\) to divide the leaf into two parts to vary the color on them. Use Smart Guides (Ctrl+U) to locate the top and bottom anchor point on a leaf and then draw a straight vertical path to connect them. Select both objects and in the Pathfinder Panel click on the Divide button, in order to get separated surfaces. 4. We will need to set up some base colors for our leaf. I have illustrated below which ones I chose. I picked four base green colors and a very bright yellow color. First, make sure the left part of the leaf is selected. Then, select the Mesh Tool (U) and add a mesh line by clicking on the shape. If you decide to go into more detail, you can add as many mesh lines as you want. I have created four horizontal and two vertical mesh lines. Grab the Lasso Tool (Q) and draw around all the mesh points that you want to select and then apply the color. Do the same for the rest of the mesh points. If you want, you can easily make the adjustments by pulling some control handles. When you’re done, you should get something like the image below. 5. Let’s move to the right part of the leaf. We`ll use the same color scheme as we did in the previous step. Grab the Mesh Tool (U) and add two vertical and three horizontal mesh lines. Select each mesh point individually or select multiple mesh points using the Lasso Tool (Q) and apply the colors. Be free to experiment and find what works best for you. When done, bring the two parts of the leaf together. 6. Now create veins on the leaf. Grab the Pen Tool (P) and start drawing the paths all over the leaf surface. Once you have made the paths, select them and in the Stroke Panel choose the `Width Profile 4`, in order to change the Variable Width Profile of the stroke. The central vertical vein should be a slightly thicker than the rest of the veins. 7. Keep the objects selected and go to Object > Expand Appearance to expand the objects. Activate the Pathfinder Panel and press the Unite button to merge the shapes. Now, go to the Gradient Panel and fill the selected object with linear gradients as shown below: pure black (R=0, G=0, B=0) and yellow (R=227, G=232, B=28). In the Transparency Panel change the Blending Mode to Screen (Opacity 75%). Place the leaf over the background we have made earlier. 8. 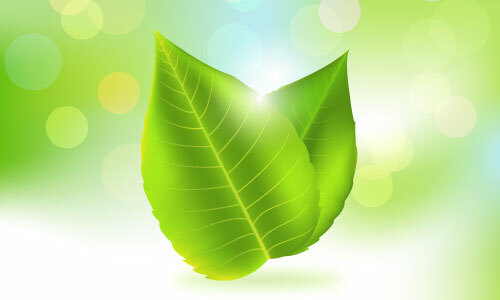 Using the same techniques as described in the previous steps, create another green leaf and place it behind the previous one. To create a cast shadow, grab the Ellipse Tool (L) and draw an ellipse and place it under the leaves. Open up the Gradient Panel and fill the resulting shape with radial gradients, medium green (R=89, G=143, B=21) and light green (R=16,7 G=232, B=28), as shown below. Keep the object selected, and go to Effect > Blur > Gaussian Blur… and set it to 10 pixels for the Radius. 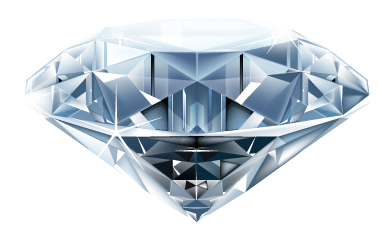 In the Transparency Panel reduce the opacity to about 35%. 9. To create a quick bokeh effect, pick the Ellipse Tool (L) and draw multiple overlapping circles of various sizes. 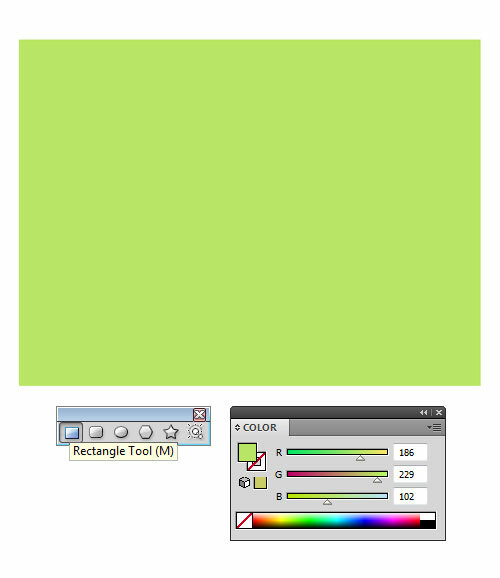 Use random colors from the Swatches Panel and color the objects (refer to the image). Select all circles and in the Transparency Panel change the Blending Mode to Screen (Opacity 50%). Now place the objects behind the leaves we have created earlier. 10. To finish the background, draw a circle between the two leaves using the Ellipse Tool (L). Now, go to the Gradient Panel and fill the selected objects with radial gradients as shown below: white (R=255, G=255, B=255) and pure black (R=0, G=0, B=0). Keep the objects selected, and in the Transparency Panel set the Blending Mode to Screen (Opacity 100%). I hope you`ve enjoyed this tutorial.